Find out more about DYT if you are considering joining! This year the Open Day is Saturday September 15th from 11am to 4pm in the Main Hall of Dublin Central Mission, Abbey St, Dublin 1. At the Open Day you can drop in any time between 11am and 4pm. You can expect to stay for about an hour getting information and filling in an application form. You will be invited to attend a workshop audition. 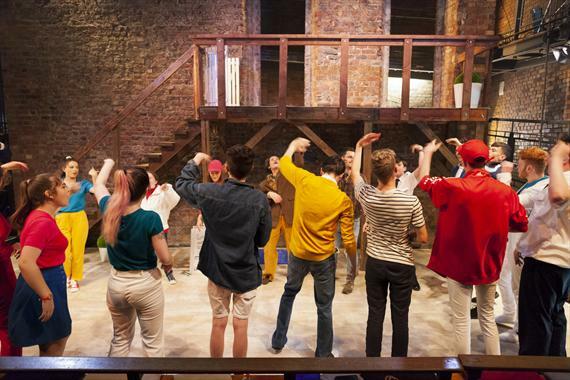 There are normally 15 – 20 young people in each audition where you will play some basic drama games and excercises and be asked why you’d like to join. The auditions will in the evenings after the Open Day. To join DYT please attend the open day on September 15th and fill in an application form. You can contact the office on 018743687 or email us at info@dublinyouththeatre.com with any questions.